Stress is a process that occurs on a continual basis. Our ability to manage stress depends on many factors. Lifestyle and nutritional issues can play an important role in the management of stress. 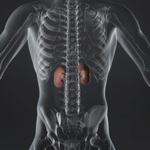 The organ system which really takes a beating in the process of continual stress management is the adrenal glands. This is the case because your adrenal gland is continually secreting hormones that prepare you for stressful situations of varying types. If you’ve been in a “fight or flight” situation, you might notice how you reacted in this type of scenario. Your reaction is caused from adrenal hormone release which causes dry mouth, shaking hands, increased alertness, stomach tightness, and increased blood pressure and heart rate. This is the classic “alarm phase” of the stress response which we have all felt from time to time. However, if the stress is of lower intensity but greater duration, this can cause the “exhaustion phase” to set in. This is classified as an herb, which has been used for hundreds of years in the Orient, in India, and in Russia to decrease fatigue, boost adrenal function, enhance sexual response, and improve athletic performance. Ginseng is a root which is grown, harvested, and aged. Roots which are at least seven or eight years old can be used to make tea or can be processed into a tincture or standardized extract capsule. The Panax ginseng variety, grown in Korea and China, are my favorites because they are very high in the active ginsenoside chemicals. Panax ginseng root can be consumed in one to two grams per day or 100-200 mg daily as a standardized extract. Similar to ginseng, this product is also an herb that has been used for many years in Russia to delay fatigue, battle stress, improve mental alertness, and enhance physical performance. It’s more effective if you gradually increase your consumption of this herb. Begin by taking 200 mg per day of a standardized extract with food. In several weeks, the dosage can be increased to 200 mg, two to three times per day with food. During periods of stress, the adrenal gland utilizes large amounts of vitamin C to manufacture adrenal hormones. Consume foods high in vitamin C such as citrus fruits, berries, red peppers, and sweet potato. I have found that most people require an additional source of vitamin C so supplements containing 500 mg of vitamin C can be taken several times daily during higher periods of stress. High levels of stress over time can increase the need for B vitamins as your body cannot store them and intake of B vitamins can vary greatly. People who eat diets containing higher amounts of refined carbohydrates are more susceptible to lower B vitamin intake. These vitamins, especially B-6 (pyridoxine) and B-5 (pantothenic acid), are key nutrients in boosting the adrenal gland. I recommend a high-potency formula which contains 50 mg each of B-5 and B-6. This mineral is important to help support the adrenal gland and the immune system. These two systems work in conjunction with each other. Have you ever wondered why you get sick when you are run-down? Foods that are higher in zinc include seafood, oysters, meat, beans, and poultry. Try eating more of these foods on a daily basis. In addition, taking daily supplements containing 10 mg of zinc citrate may not be a bad idea, as your need for zinc during high periods of stress may warrant this. This is also a mineral which supports adrenal function and the immune system. Prolonged stress levels can increase your need for magnesium. The adrenal gland needs magnesium to produce adrenal hormones, so my recommendation for you is to think about eating more whole grains, nuts, seeds, bran and green leafy vegetables daily or supplementing with 300-500 mg of magnesium citrate per day. Kim, H.G., et al., “Antifatigue Effects of Panax ginseng C.A. Meyer: A Randomised, Double-Blind, Placebo-Controlled Trial,” PLoS One. April 17, 2013; 8(4): e61271. Hung, S.K., et al., “The effectiveness and efficacy of Rhodiola rosea L.: a systematic review of randomized clinical trials,” Phytomedicine. February 15, 2011; 18(4): 235-44.